At MyGradeBooster, we believe that students are never too young to receive coaching and extra help. Goals of each student vary, and we base goal setting off of where your child is and what you want your child to achieve. For some parents, this looks like extra time spent on math because their student is struggling to understand the basics of arithmetic. For others, it may be to reignite the passion for learning in their children who are “bored” with their class and needs to be challenged more. We are here for both and anything in-between. 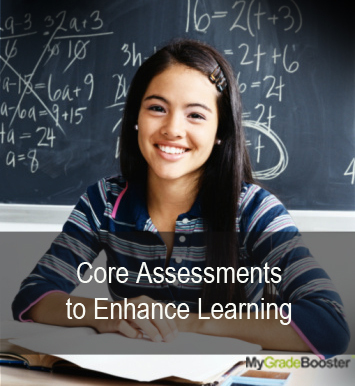 Students often feel that assessments, tests, and grades equate to their value or worth. This starts at a very young age and can cause negative emotional effects all the way into a student’s university years. Our tutors understand this and create a safe learning environment where your child learns that their worth is not based on their grades, but off of the hard work they put into themselves and their goals. By doing this, we help children gain confidence in their abilities and motivate them to put in the extra work to achieve better grades. Grade 1-7 math tutoring sessions are an opportunity for elementary students to enjoy the process of learning mathematics. For grade 1-7 math tutoring we use JUMP Math for remedial work and Singapore Math once the student is more confident in math. JUMP Math is great for students who are struggling and have low confidence in their math skills, whereas Singapore Math challenges students to reach new heights in solving math problems. We hold your child to a high standard while encouraging and supporting them. We show your child what good writing looks like and dissect it, so they understand the differences between how their writing looks now and what it could look like in the future. We engage your child in active discussions to ensure they are utilizing all of their creative juices and critical thinking in developing responses. We believe that a simple English paper can become an opportunity to hone students’ creativity and communication skills if we hold students accountable for creating quality work. When students hold models of great writing in their hands, they pay close attention to structure. They notice tone and voice and how these are incorporated to make the writing come to life. Discover our tutors tailor a specialized learning schedule for your child by creating an account and submitting your child’s assessment.